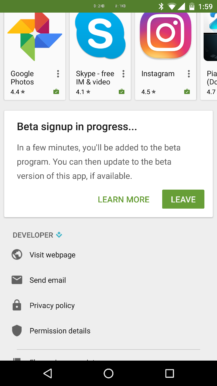 There's a new version of the Play Store beginning its slow rollout, and it's all about all those beta apps you've signed up for. 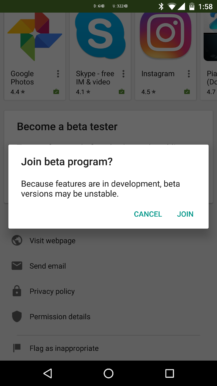 You can see when you're in a beta, leave/join them, and even provide direct developer feedback from the Play Store client. 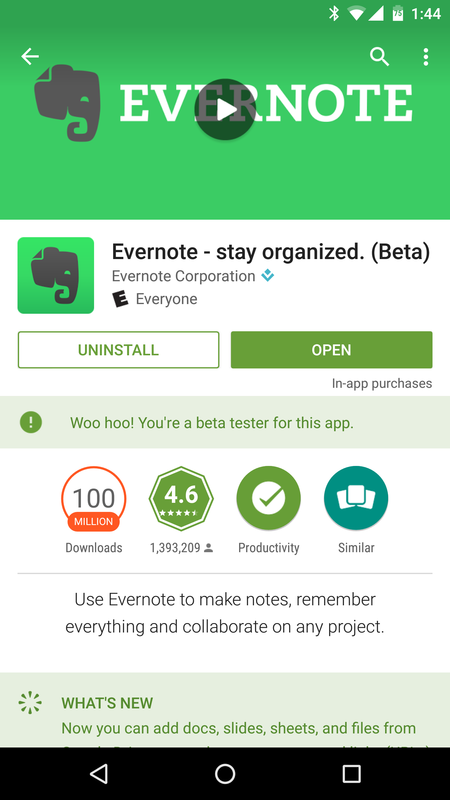 Anyone who's in a lot of betas will want this update, and we've got the APK ready for download. Here's everything new we're seeing so far. 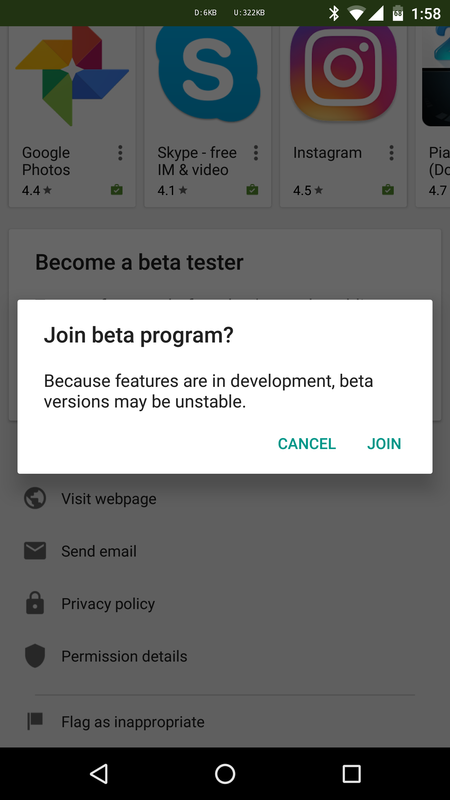 Probably the most important item this time around is proper support for joining and leaving beta tests. 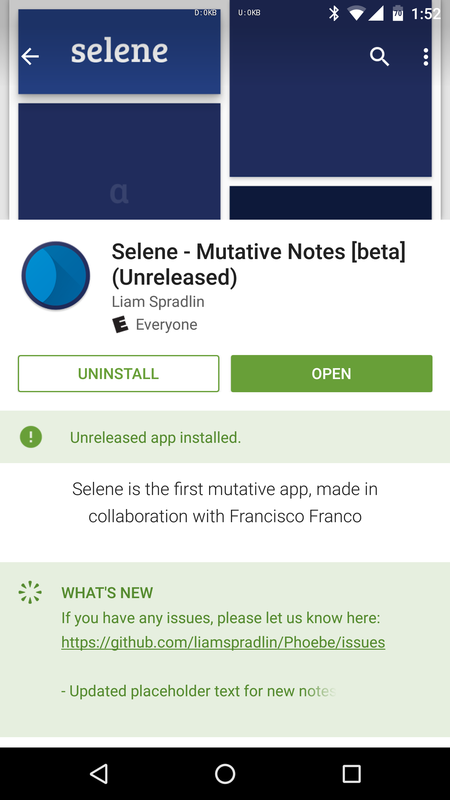 It was a pain to find those links before, but now you'll be able to take care of it right from the Play Store client. 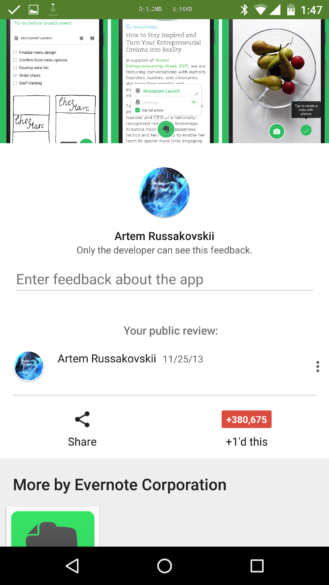 This will only work if you've joined the necessary G+ community or the dev doesn't require one. 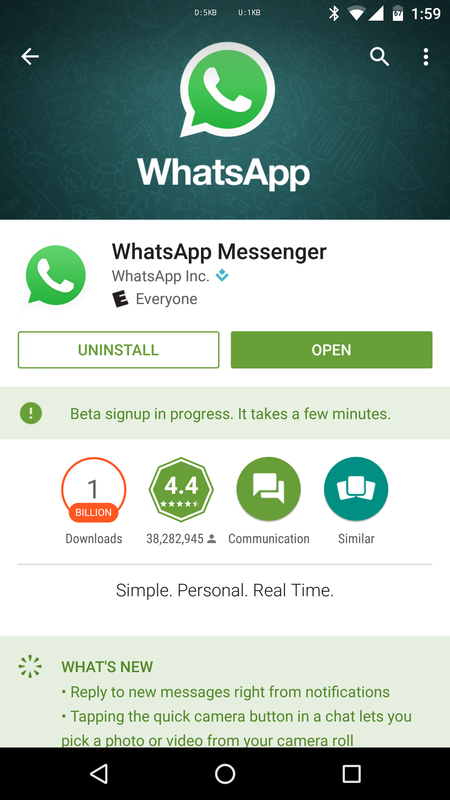 Joining takes a few minutes just like it does when joining from your browser, and the Play Store will make you aware of that. 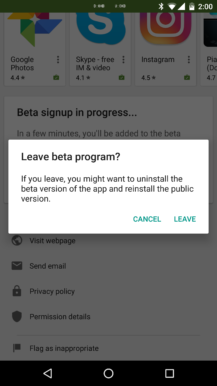 This seems to work with most app betas, but a few aren't showing up for us. It might just be a little spotty during the rollout. When you're running the beta version of an app, the Play Store listing will say so right at the top. That's handy in the event something goes sideways and you need to figure out if you're running a non-stable version. The Play Store will also note if an app is unreleased—i.e. 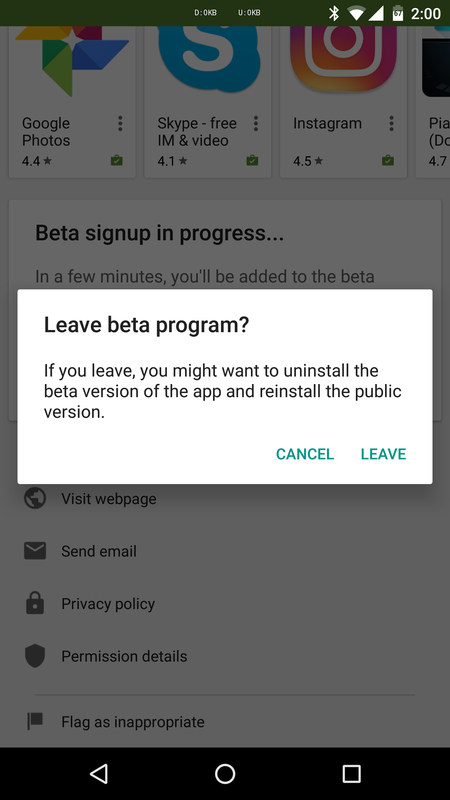 it has only ever been a private beta with no public version. 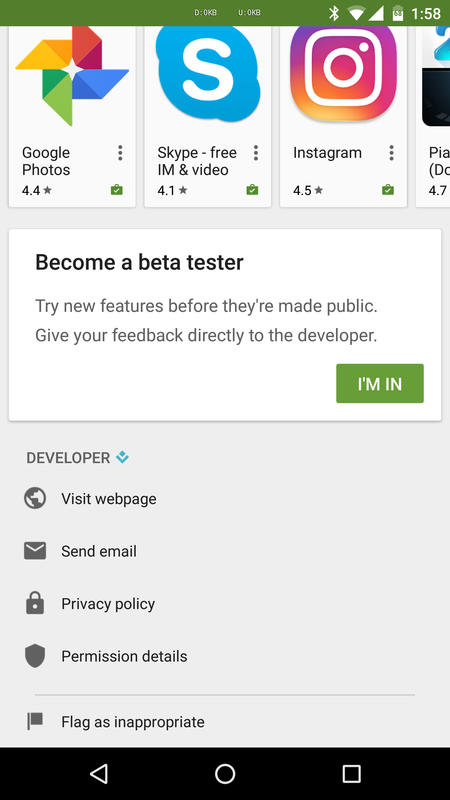 Lastly, you can leave feedback for developers of apps you are beta testing on the Play Store page. These messages won't be shown publicly, but the layout makes it look like you've left a review that you can't see. It's weird, and possibly a little broken right now. 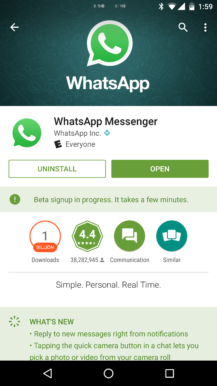 It might start working differently as the rollout continues. 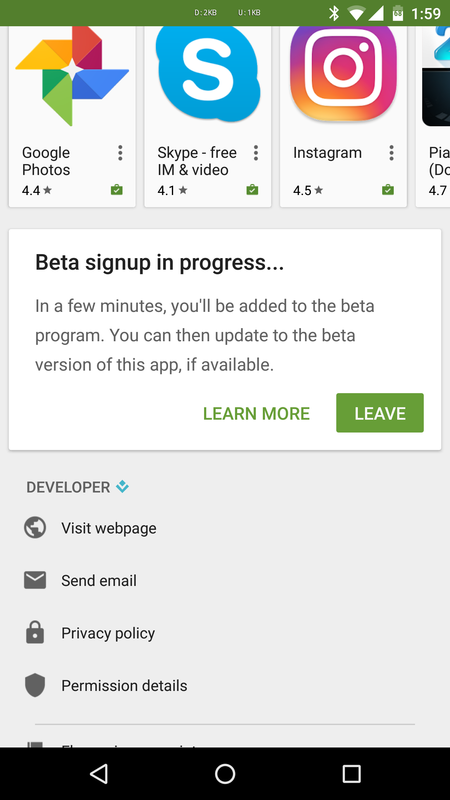 If you want to grab the latest version of the Play Store, we've got it on APK Mirror right now. 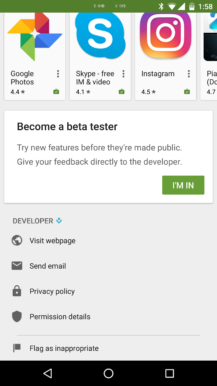 It looks like Google is pulling back the new beta features on the server side. It was probably planning on announcing this at I/O. 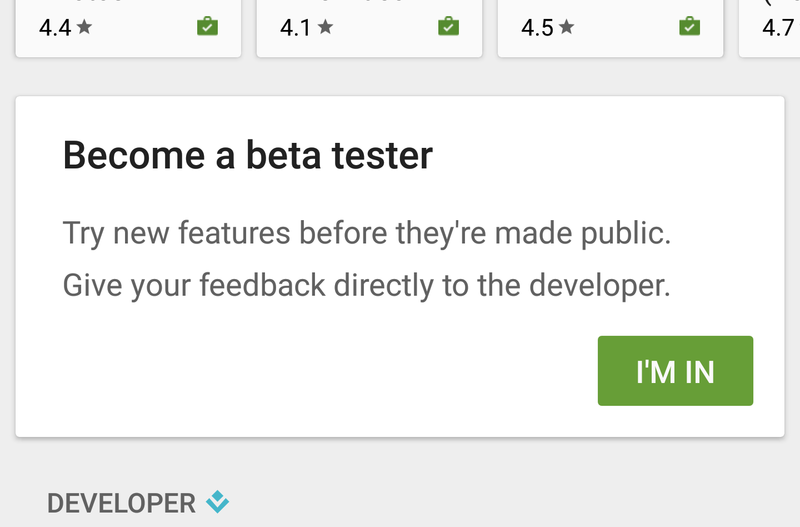 That's what happens when you release things early, Google.